The Jets added some depth to their running back room Thursday when the team and former Packers running back Ty Montgomery agreed on a one-year deal. Montgomery will contend to be Le’Veon Bell’s backup along with Elijah McGuire, Trenton Cannon and De’Angelo Henderson. Montgomery was a wide receiver at Stanford and was drafted in the third round by the Packers. Green Bay converted him into a running back in 2016 due to a rash of injuries at the position. He finished that season with 457 yards rushing on 77 carries and scored three touchdowns. The 2016 totals are his career highs. He only ran for 273 yards on 71 carries in 2017, again scoring three touchdowns. In 2018, the Packers traded him at midseason after he messed up in a game against the Rams. With the Packers losing 29-27 and 2:05 left in the game, Montgomery returned a kickoff from the end zone and fumbled the ball. It was recovered by the Rams and the Packers lost. It was later reported that Montgomery had been instructed to take a knee. He was traded to the Ravens two days after the game for a seventh-round pick in the 2020 draft. 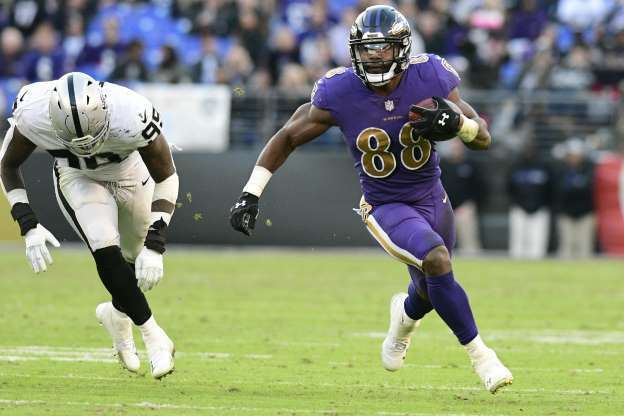 Montgomery, 26, rushed 15 times for 83 yards in six games with the Ravens. His 2018 totals with both the Packers and Ravens were 41 rushes for 188 yards and one touchdown. Montgomery will have to compete with McGuire to be Bell’s primary backup. The Jets also could be eyeing Montgomery as a kick returner. He has 35 kickoff returns in his career, averaging 22.7 yards per return. Jets coach Adam Gase has spoken highly of backup Elijah McGuire, but he evidently wanted a more experienced player behind Bell, the team’s marquee addition in free agency.